The Japanese are coming, but can we believe the logic? 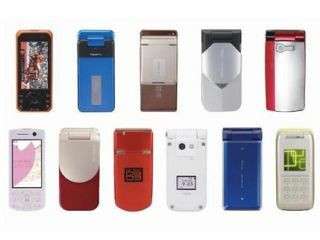 Now, a Japanese company’s move to export phones to the West looks like obfuscating the matter further still. According to the Daily Yomiuri newspaper, NTT DoCOMo is seeking to move on from the saturated domestic market by expanding sales overseas. If we’re to believe the report, the leading Japanese network operator plans to do this not by rising to meet the challenge offered by handsets like the iPhone, but by simplifying its existing phones for us intellectually challenged Westerners. The rather muddled piece peddles the fallacy that “cheaper handsets with simplified functions are preferred in overseas markets”, which makes it hard for Japanese manufacturers to succeed in the West. Such blatant superiority-complex nonsense tends to be swallowed whole by naïve EU and US journalists who know little of the Japanese market beyond what they’re spoon-fed, but – you’ll be glad to hear – not by us. We're not alone either - Philip Sugai, mobile tech expert and director of the Mobile Consumer Lab at the International University of Japan, tells us that staid business practices are also to blame. Sugai explains: "Japanese manufacturers have created phones with an extremely high manufacturing cost, which has been supported by DoCoMo and others in terms of subsidies. "While there are a number of other issues to be concerned with in helping Japanese manufacturers to become globally competitive, one clear issue that must be tackled is how to guide them towards lowering their development costs." Addressing the implications of the Yomiuri story and its suggestion that DoCoMo wants to offer stripped-down phones internationally rather than modifying the underlying development process, he continues: "But what this article proposes is that DoCoMo is helping manufacturers to keep their high cost structures, and then strip out the results of these costs (again at an added expense)." We won’t list the other missteps in the article, but will point out that successful Japanese phones thrive because they come deeply integrated with superb network-provided functions like RFID-based e-cash. Strip out the services, as DoCoMo and its tame hardware builders apparently plan to do, and you’re left with a bunch of ugly handsets that will bomb in the sophisticated Western markets. Unless, radical changes are made, we guarantee it. Anyone for Android? Update: We just spoke with a senior manager at DoCoMo in Tokyo, who tells us the plans are, indeed, true. Beyond that, however, there's little to add, except to say watch this space.